Though it was only in Uganda for celebrities to gain more spotlight after disgusting things happening in their lives such as leak of nudes? It is almost every where. 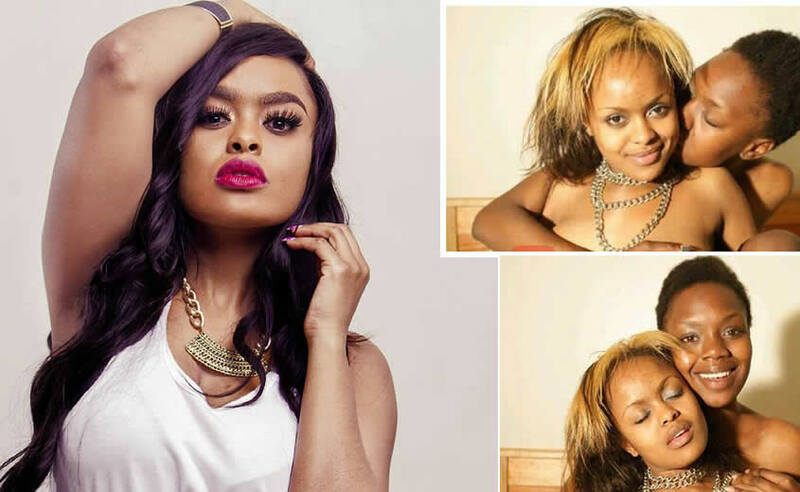 Just like our own Desire Luzinda, Kenya singer Judith Nyambura Mwangi aka Avril also gained more popularity after the leak of reportedly her unclad pictures while cuddling up with a certain female in a lesbianism way. This happened way back in November 2010 while she was signed under Ogopa Deejays but till now, the singer has been known as a lesbian by many. By then, the ‘hallo baby’ hitmaker was in a fling with Dj Crème de la crème who was engaged to his beautiful fiancée. However, The mother of one says it was all a black mail and she has never been attracted to fellow girls. She affirms that she is a straight girl and never been experimental sexually if the words she said in her most recent interview with Kalekye Mumo are to go by. “They say you haven’t made it until someone calls you the ‘L’ (lesbian) word. That is what Kanye said, so whatever! I have never been an experimental type. I have never been experimental with my s3xuality.” She said. Avril added on that there were some people that wanted her to be kicked out of the popular Ogopa Deejays. “I am a straight chic, I am a straight shooter. It was something I came to find out later that there were some people who wanted me to be dropped from Ogopa DJs. They don’t know that I know because somebody from their team later came and told me……. One of the women in that picture wasn’t even me, man!” She confessed.